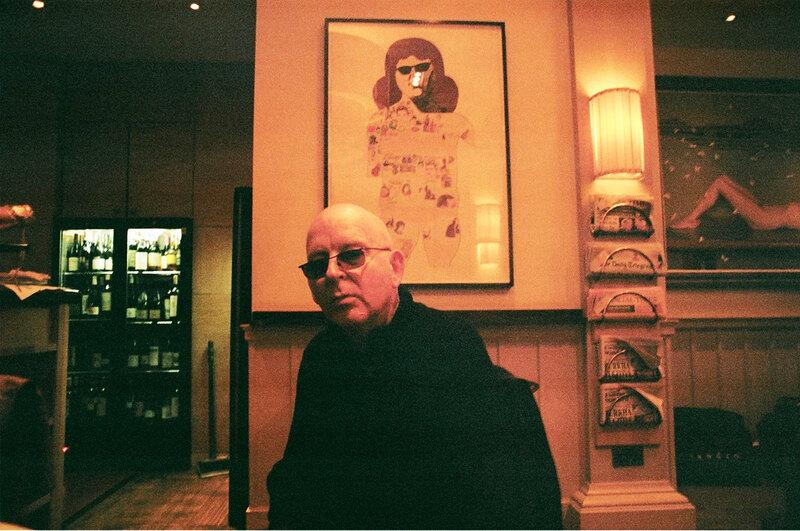 Alan McGee is a man of many talents; businessman, musician, blogger and manager, he was even awarded the title of “Godlike Genius” by NME back in 1995. As former Creation Records boss he helped launch the careers of Primal Scream, The Jesus and Mary Chain and Oasis, and has worked with a list of bands longer than the queues at Glastonbury toilets. 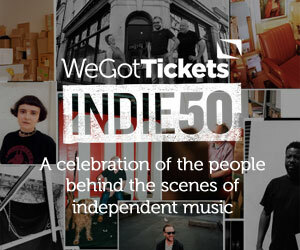 Earlier this year he co-founded and launched a new campaign called Musicians Against Homelessness, and WeGotTickets are proud to be the official ticketing partner for 2016. To celebrate, we had a chat with Alan about the initiative, how people can get involved and the one artist he wishes he had worked with. Last month saw the launch of Musicians Against Homelessness; can you tell us a little bit about the campaign? Alan McGee: Our twin aims are to raise funds for the homeless charity Crisis and provide gig opportunities for up-and-coming bands. Musicians Against Homelessness gigs are being set up and promoted independently all over the UK with the aim of becoming an annual event, and will be open to all bands and venues who’d like to get involved in their local area. Gigs will take place over a three-week period from 18th Sept to 9th Oct 2016 and will be co-ordinated by a team of knowledgeable regional managers, all experienced in events and PR. We have gigs taking place from the local pub, school or community centre up to the O2 and weekend mini festivals. The campaign has already featured extensively in the national media and has been supported by many high profile people including Russell Brand, Irvine Welsh, Shaun Ryder, Libertines, Courtney Love Cobain and Buzzcocks to name just a few. All money raised from events goes directly to Crisis. How great a problem is homelessness in the UK today, and why did you choose Crisis in particular to support? AM: Homelessness is an isolating and destructive experience, and homeless people are some of the most vulnerable and socially excluded in our society. After years of declining trends, 2010 marked the turning point when all forms of homelessness began to rise. This is especially so in London, where rough sleeping has doubled since 2009/10. What many people don’t know is that under the law in England at the moment a homeless person can ask their council for help and still be turned away, potentially to sleep on the streets. With its No One Turned Away campaign, Crisis is calling for a change in the law so all homeless people get the help they need. We chose Crisis because Emma, the co-founder of MAH, has been volunteering there for the last few years and seen first-hand the incredible work and the difference that the charity makes to many people in great need. Not only do they operate on the street level but also in their successful campaigns against government policies. How important do you think it is to give upcoming and unsigned bands a platform to perform? AM: Hopefully this project will give a lot of new bands a chance to play and to exist in a place where they can all shine on. To date we have placed local unsigned bands on all of our gigs that also feature well known and established artists. MAH is all-inclusive of every genre, and welcomes all bands and artists to play. Many of our bands are putting on and headlining their own events under our banner and supporting other local bands by adding them to the line-up. We have had fantastic support from local venues too with many booking and promoting local talent for shows. What are your aspirations for the campaign? AM: We really had no idea how successful this project would be and have been overwhelmed with the support, not only from volunteers organising events and the bands involved but also the numerous organisations and sponsors approaching us. We’d like to think that this is just the beginning of something that we can take into next year on an even bigger scale and we will continue as long as people want to perform, highlight the problem and raise much needed money for the disadvantaged on our streets. What do you make of the current independent, live music scene? AM: I think that the current independent scene is fantastic and vibrant. There’s a richness of talent across such a broad spectrum of genres. We have punk, rock, folk, blues, garage, psychedelia…. some incredible acts. You don’t have to look too far to find a good band – just look at your local gig guide and 9 times out of 10 you can find a decent band who are playing nearby. There’s a lot of local talent waiting to be discovered; often for the price of a pint you can watch an evening of live music. You’ve worked with Oasis, Primal Scream and The Jesus and Mary Chain to name a few, but is there any band or artist you haven’t managed to work with that you’d have liked to? AM: I would have loved to have worked at some point with the artist M.I.A. as she is a game changer; politically I agree with what she is trying to say. We are complicit in the refugee scenario so how can we complain when people are displaced and have nowhere safe to go? I think she is a great spokesperson for current times. Finally, how can artists, venues and promoters reading this get involved with Musicians Against Homelessness? AM: Absolutely any band/artist from any genre can play a MAH gig. It doesn’t matter if they have an audience of 50 or 5000 – that is the beauty of this and unlike most other application processes, nobody is excluded. The pinned post on our Facebook page has a list of regional managers. Anybody interested in playing, hosting or managing a gig for us should email their area of choice and they will receive all the information they need and our official endorsement and flyer. Interested in hosting an event? Head over to the Musicians Against Homelessness facebook page now, or browse the gigs currently on sale.